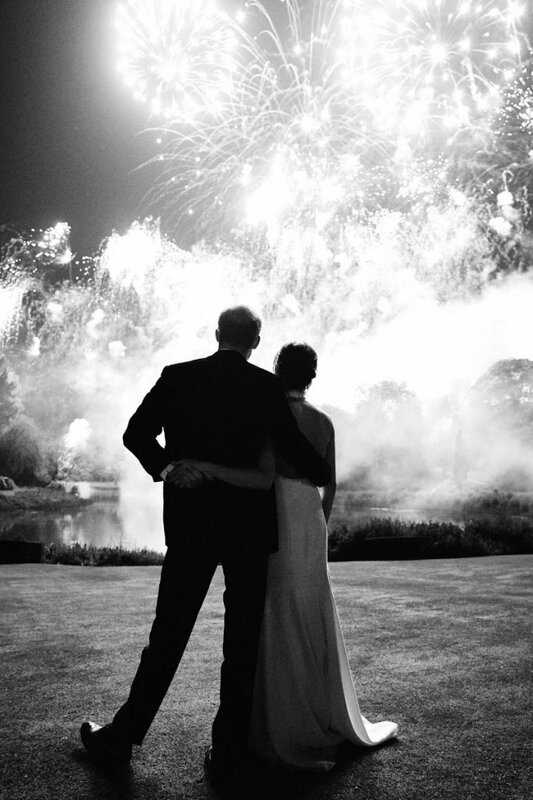 Those fireworks could be a metaphor for, well, everything: their intense relationship, falling in love quickly, getting engaged and married, the drama around the wedding, the major publicity around the pregnancy to kick off their first overseas tour, and the recent gossip about the supposed tension between the royal courts. Prince Harry and Meghan Markle have released a previously unseen photo from their wedding in May which is featured on their Christmas card. Note how they managed to get the signature Sussex handholding into the shot as he’s got one arm around her and his other hand is clasped in hers as her arm extends across his back. You know how you can tell that there’s been minimal retouching? Look at his head. It’s a clear display of those family genes. Solid PR work here from Kensington Palace to end the week and take us into the weekend after so many consecutive days of rumours and negative press. There’s no distraction like weddings and babies. Which is what some people are forgetting where Royal Meghan is concerned. Whatever sh-t they’re talking right now will disappear the minute they introduce the baby to the world. This is also why I think her belly-cupping the other night at the British Fashion Awards was a strategic f-ck you. People go crazy over pregnancy and babies. Nothing hijacks a conversation like pregnancy and babies. She was trained in Hollywood. She knows this. These viper courtiers have underestimated what it’s like to go up against a modern celebrity.